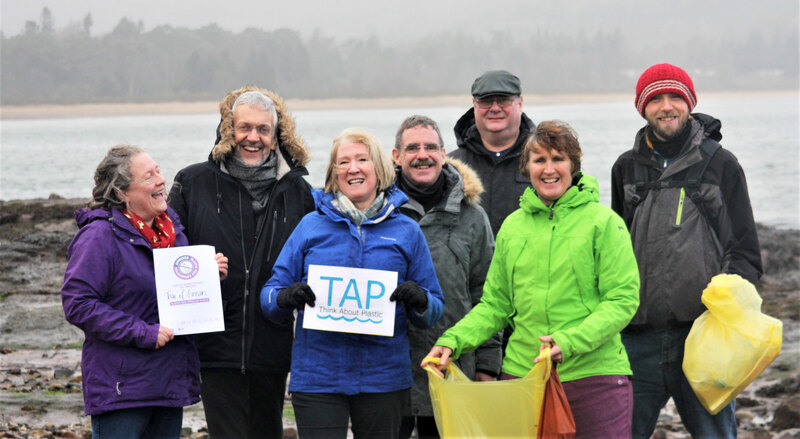 The Isle of Arran has become Scotland’s first community to join a network of communities across the UK that are leading the way on tackling throw away plastic. In recognition of the Island’s work to start reducing the impact of single-use plastic on the environment, the Island has been awarded Plastic Free Community status by the national marine conservation charity, Surfers Against Sewage (SAS). Arran’s campaign started in February 2018 by a group of island residents in response to the publicity about plastic waste in the sea. 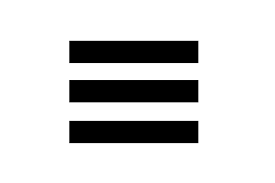 The group Think About Plastic – Arran (TAP-Arran) was formed to create a focus for the campaign’s work. TAP-Arran pulled together key organisations and businesses on the Island to put in place SAS’s five-point plan. The objectives include; setting up a community led steering group, getting commitment from North Ayrshire council, signing up local businesses as ‘Allies’, and reaching out to community groups and individuals to spread the word and minimise the amount of disposable plastics they use. Arran attracts over 400,000 visitors a year who come to explore the beautiful countryside. Tourism based businesses have lead the way in demonstrating what can be done to reduce plastic usage. Action by accommodation providers include; reusable water bottles to replace single use mineral water; soap and solid shampoo to replace mini-shower gel and shampoo bottles; providing guests with fresh milk to replace mini pots of UHT milk. TAP has organised two events in the past year that highlighted the effects of plastic waste on marine life. There was also an Arran-wide beach clean in the autumn. Helen How said ‘Having gained this accreditation from SAS, we will continue to expand the campaigning to include more businesses and get the message out to the many visitors Arran attracts. Arran’s residents are proud of their environment and we want everybody to know that we care and take positive action to protect where we live." Helen commented that "using items made of plastic is something we all do every day. The aim of TAP is to get people thinking about what they can do to move away from the careless use of disposable plastic." Individuals and businesses can sign up to join TAP-Arran on its website and Facebook pages. The sites are packed with information about how to reduce plastic usage, as well as what TAP-Arran is doing. Arran-based councillors Timothy Billings and Ellen McMaster said that "North Ayrshire Council is committed to minimising the use of single use plastic, and recognises TAP-Arran as an important ally in this work. We are delighted that TAP has gained this accreditation for Arran." Rachel Yates, SAS Plastic Free Communities Project Officer, said: “It’s great to see the work that Arran has done to reduce the availability of avoidable plastics, raise awareness and encourage people to refill and reuse. "We have over four hundred communities across the UK working to reduce single use plastic and the impact it has on our environment. Every step those communities and the individuals in them take is a step towards tackling the problem at source, challenging our throwaway culture and encouraging the habit changes we need to see." The Surfers Against Sewage Plastic Free Community network aims to free the places where we live from single-use. Using the five point plan the aim is to empower communities to kick start local grass-roots action, which can then be built upon. Surfers Against Sewage is a marine conservation charity, based in St Agnes in Cornwall, that aims to unite communities to tackle avoidable plastic from the beach all the way back to the brands and businesses who create it. SAS says it is not about removing all plastic from our lives, but kicking our addiction to throwaway plastic and changing the system that produces it. Plastic Free Communities is an ambitious community initiative designed to unite and empower individuals, small businesses, local government and community groups to reduce their collective plastic footprint and protect the environment together. Driven by inspirational local volunteers, we are building a new and exciting community movement tackling single-use plastics and plastic litter in our villages, towns, cities and rural locations. This highly inclusive initiative, created for all ages and backgrounds, is designed to get the whole community active and do something positive to reduce the amount of plastic in the local environment. We believe that united communities lead to cleaner beaches, streets, parks and riverbanks.